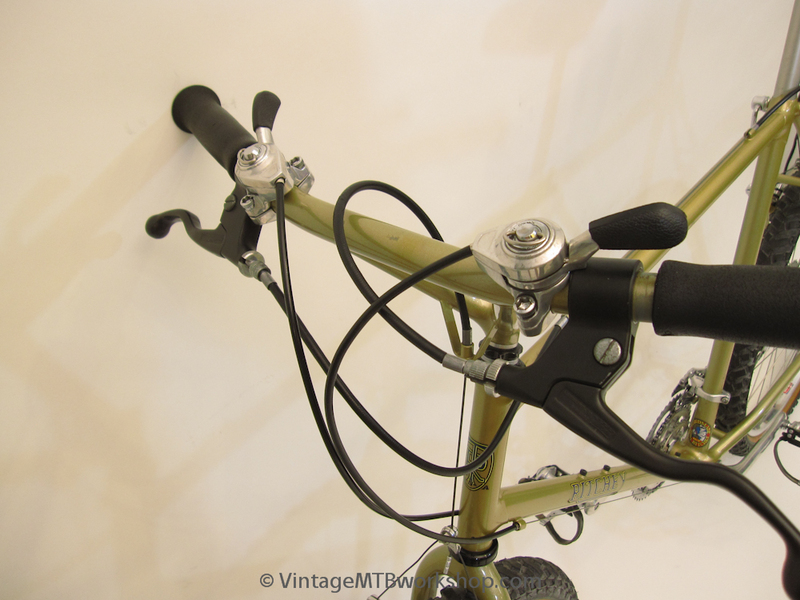 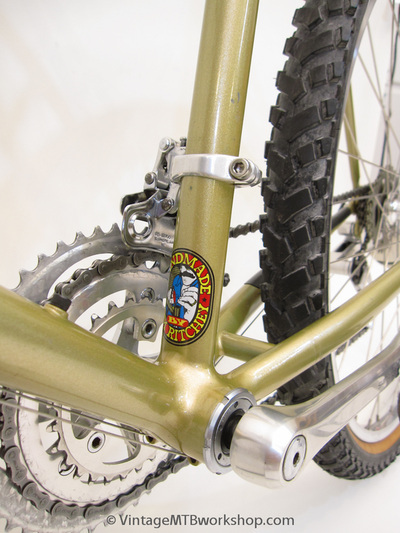 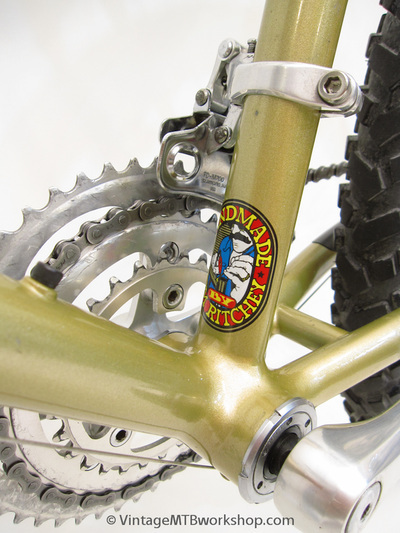 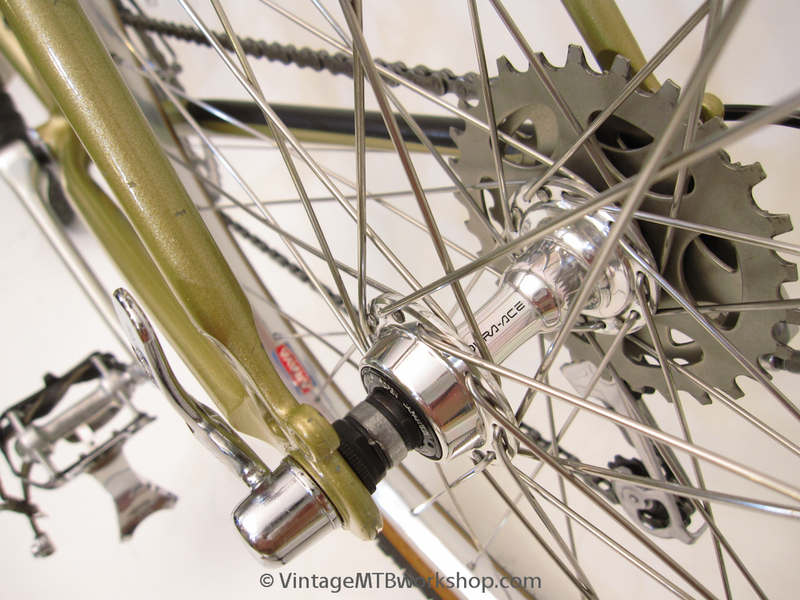 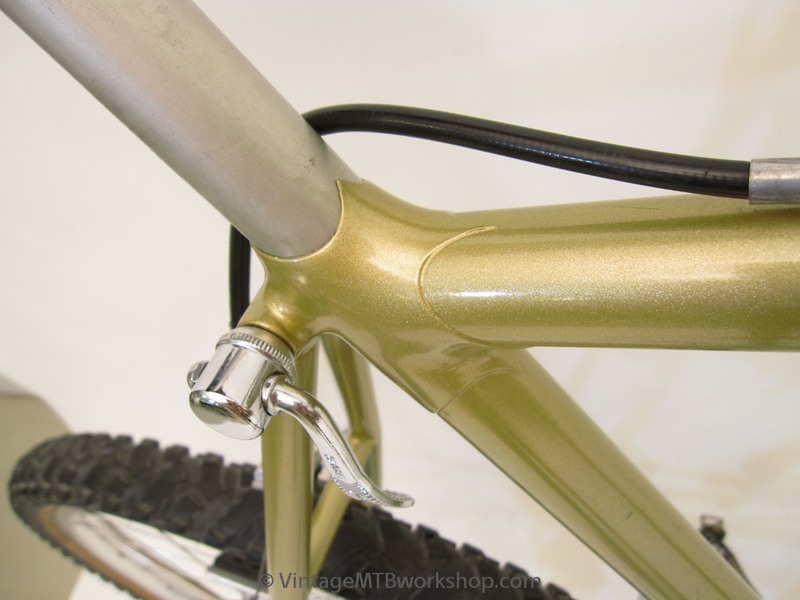 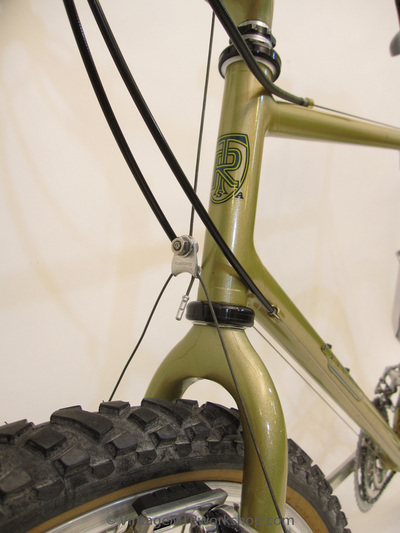 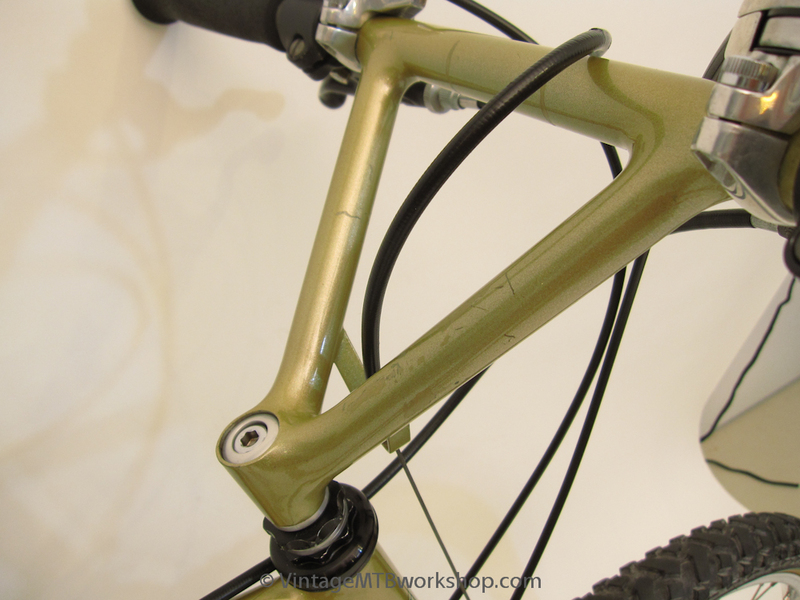 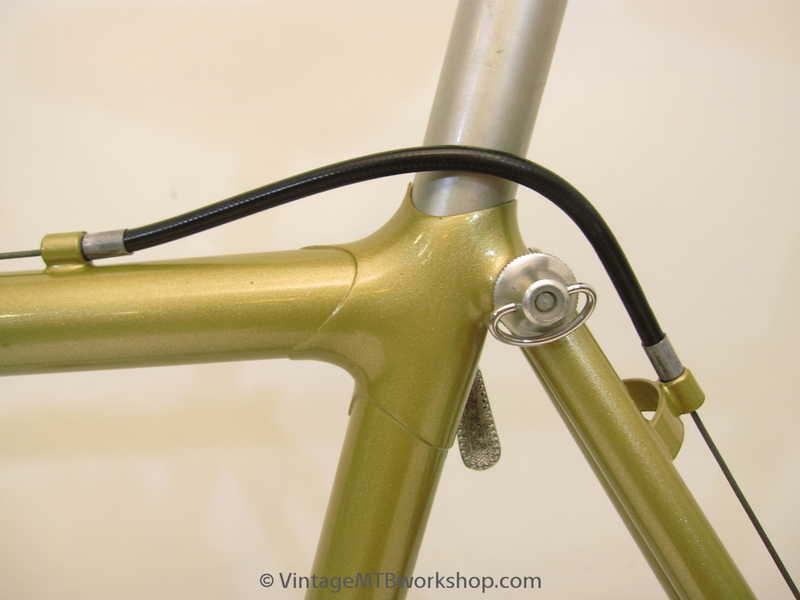 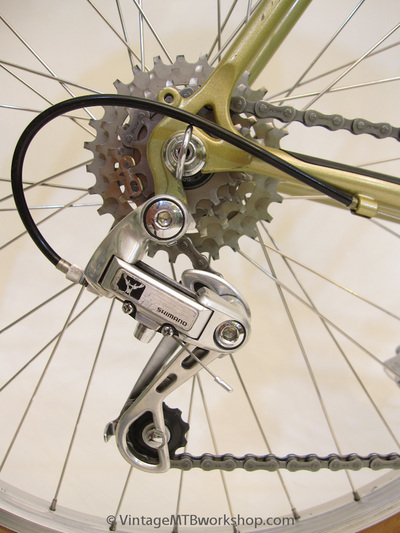 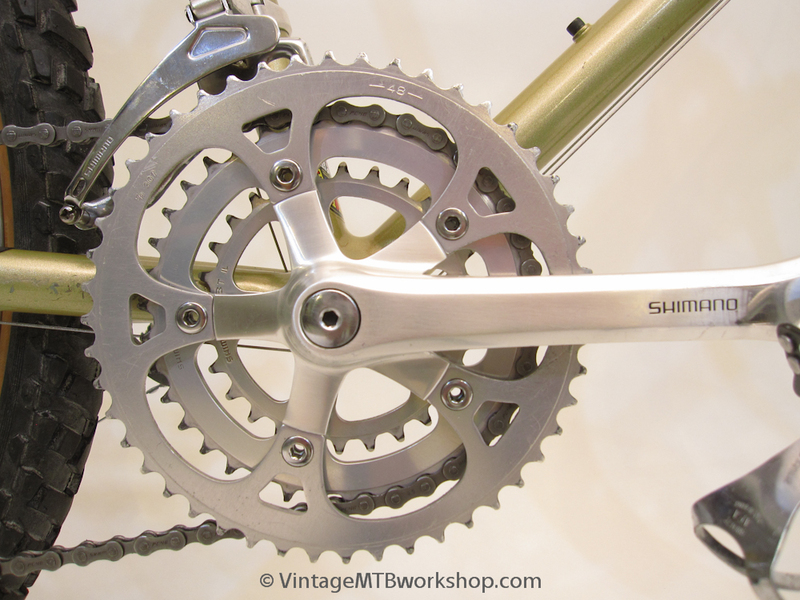 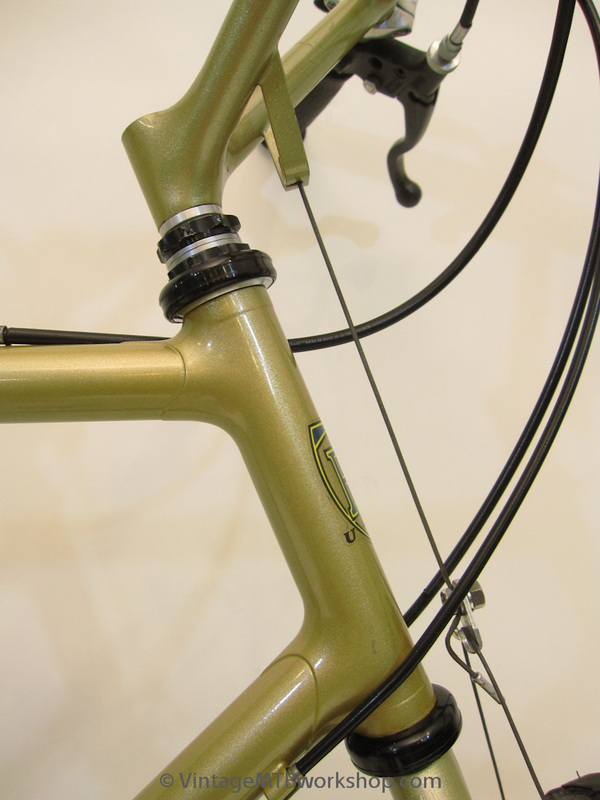 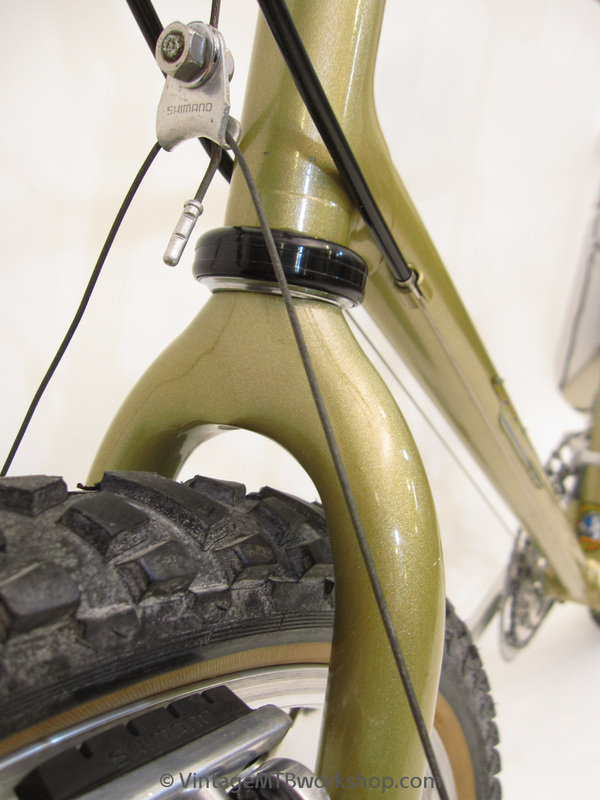 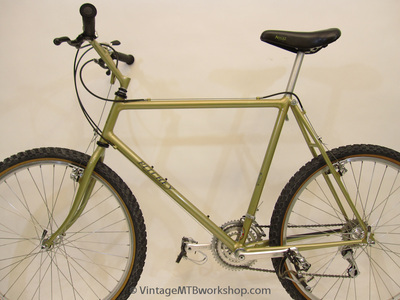 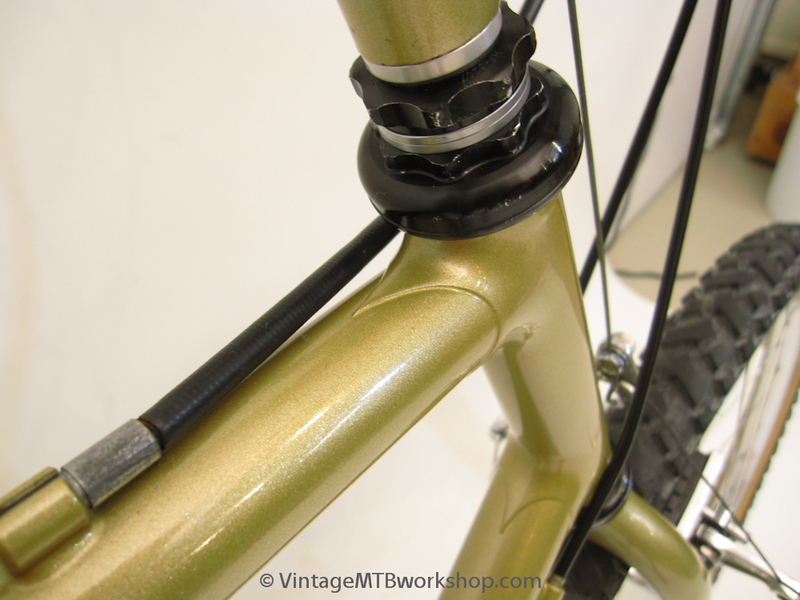 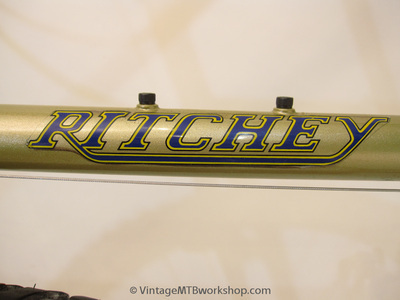 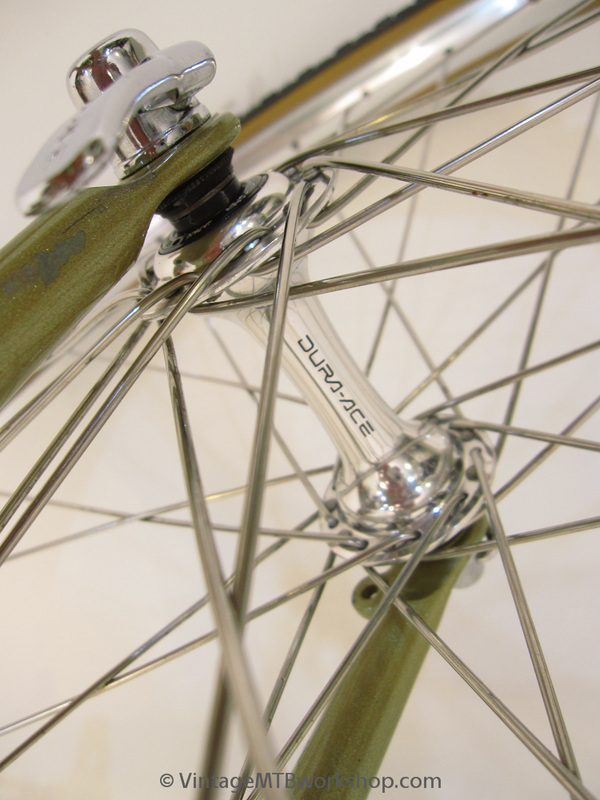 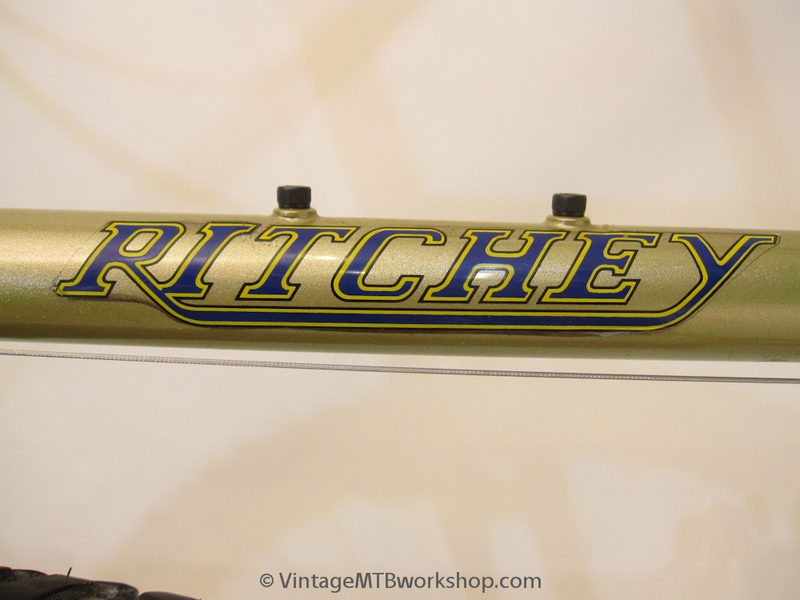 The Annapurna with its bi-laminate or fake lugs was the top model in the Ritchey line of bikes. 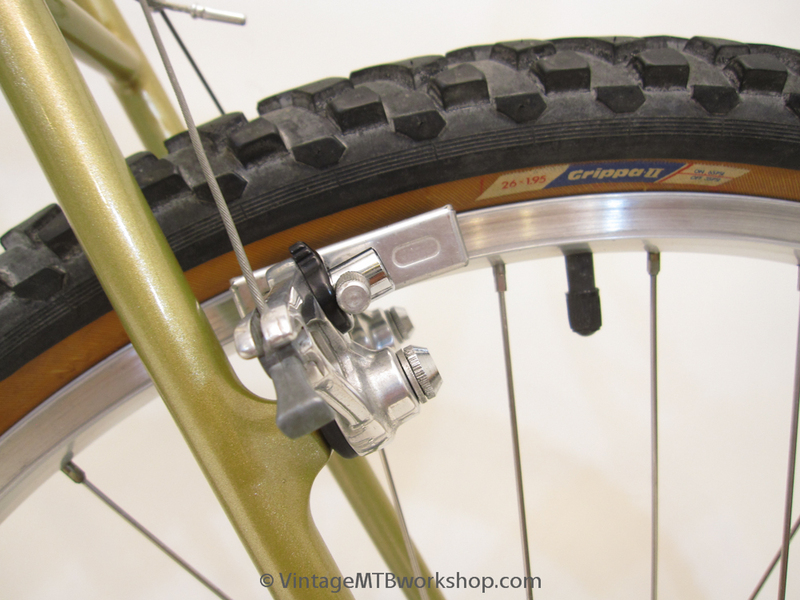 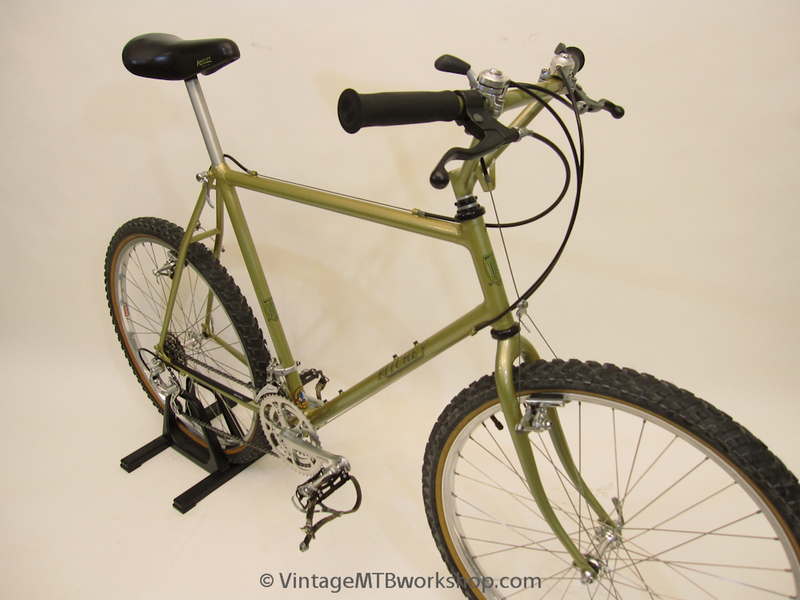 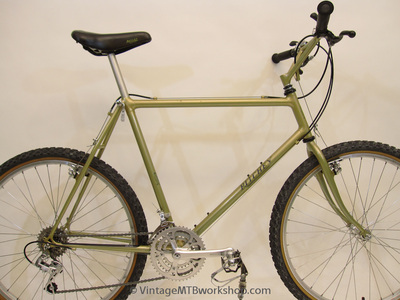 According to the 1985 Ritchey catalog, the purpose of the Annapurna model was for "Off-Road, City Bike Luxury Cruising." 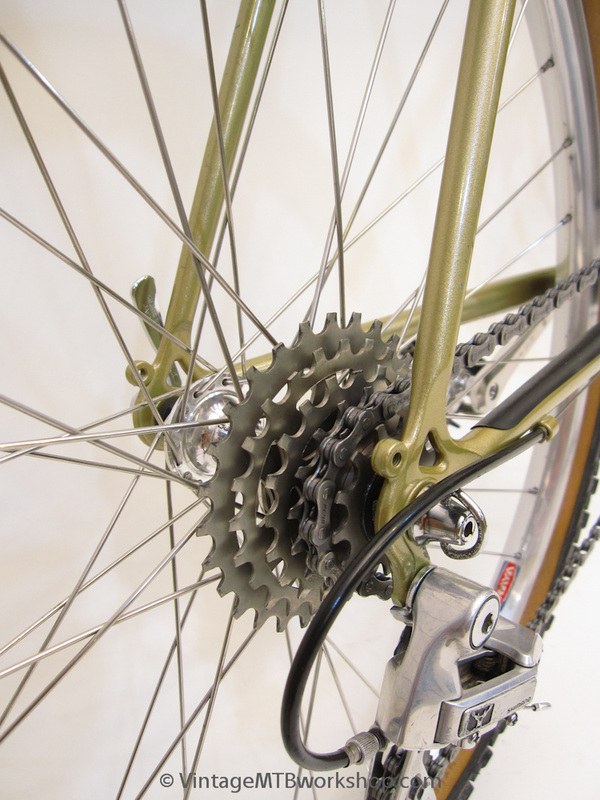 Based on how this particular bike was setup with a 53 tooth chainring and a one-step 13 through 18 tooth cogset, it was used more for city cruising. 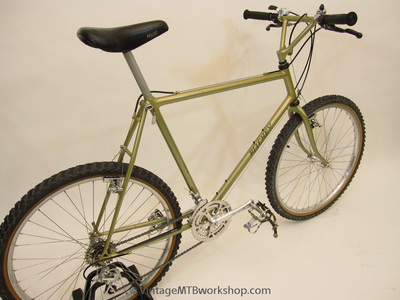 The build is pretty close to catalog-spec, with Shimano M700 Deore XT, Shimano 600 cranks, Magura brake levers, Dura-Ace cassette Uniglide hubs, Araya RM-20 rims, Mitsuboshi Grippa tires, Avocet saddle, and the original Grab-on grips.